Selecting landscape maintenance services for your home can do one of two things: it can make your life much, much easier, or it can give you additional headaches. Finding the right provider can make a world of difference in your schedule, your satisfaction with your home, and your stress level. 1. 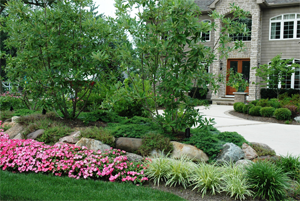 Is this service provider qualified to maintain your landscape throughout the seasons? You want to hire a landscape service provider that has the experience and knowledge necessary to keep your landscaping in top form. For example, we have an on-staff horticulture professional with a degree in horticulture from Michigan State University. This local expertise adds significantly to the quality of our service. 2. Does the landscaping service provide a dedicated property manager who personally oversees the maintenance of your property? Some property managers sit behind their desks and manage personnel but never step foot on their customers properties. That's not how things work at Green Impressions. We have a dedicated property manager who will be on-site at least once a week to make sure your landscaping is in tip-top condition. 3. Does the service provider have clean, up-to-date equipment and trucks? This is important for a couple of reasons. First, the services you hire reflect on you and your home. Would you rather have a beat up, dirty truck sitting in front of your home on a regular basis or a professional, well-kept truck? More importantly, well-maintained equipment means that the work will be done more efficiently and well. Good equipment makes for good results. A company that takes pride in its own appearance will also take pride in yours. 4. Do the employees represent themselves in a professional manner? Not only will your neighbors appreciate the presence of professional workers in your neighborhood, but you'll have a much better experience when you hire a company whose employees are courteous and professional and show up when they're expected. 5. Does the landscape service provide an account care specialist that works with you and our property manager to customize your specific landscape management needs? 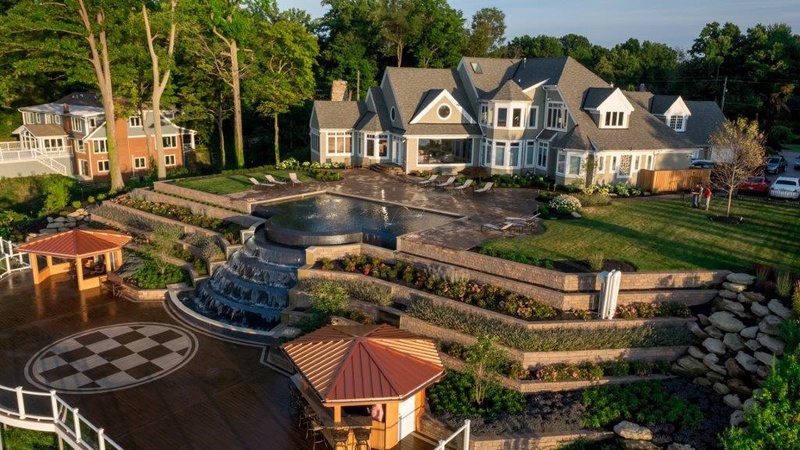 There are a lot of landscape maintenance services out there, but there aren't many who pride themselves in offering stellar customer service through customized accounts. Many times, landscape maintenance companies will fail to recognize that each client is different. You may not need some services that your neighbors need, or your landscaping may require more attention during some seasons than others. Having an account care specialist ensures that you receive the specialized attention that keeps your landscaping looking its very best year round. 6. Does this service provide a complete Concierge Care Service Approach? Can this service ensure that my landscaping will always look its best no matter what season it is? Your life is busy, and the last thing you need is to have to hire a bunch of different people to take care of a variety of outdoor projects. A Concierge Care Service Approach handles all of these details for you. You can go about your business, knowing that your landscaping will be taken care of by professionals who have the experience, knowledge, and skills to do what it takes. As you interview landscape maintenance services with these questions, also pay attention to how you feel about the company's representative. Are you comfortable having this person in your home? Do you feel like you would have to babysit the service and explain yourself over and over again? Contact us to meet with a representative to discuss your landscape maintenance needs.